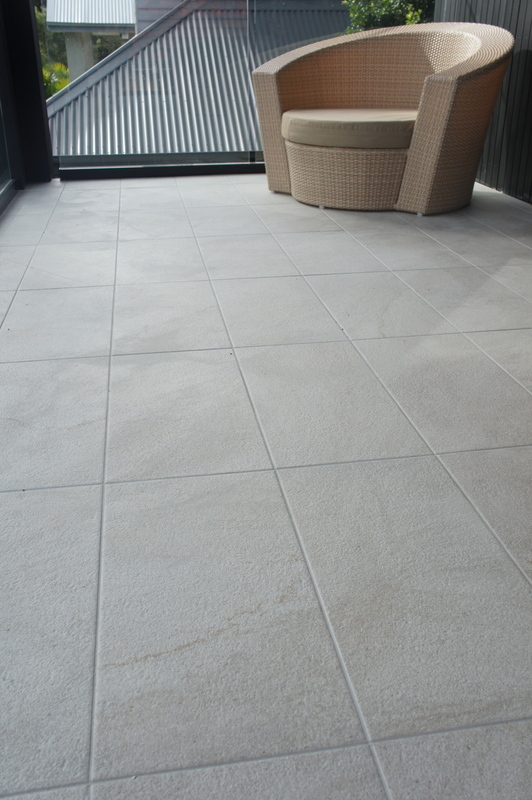 – 600 x 300 vitrified tile for exterior upstairs balcony. – Existing brick work was faced with sandstone tiles to give the stair case a nice lift. NB: unfinished.